The casting team for a new movie needs actors, models, and talent to work on the upcoming feature film, Sprinter. Producers are looking for very experienced male and female sprinters to act in a marathon scene. The story follows Akeem, a 17-year-old Rastafarian teenager and track athlete. His goal is to qualify for the national youth team and go to the World Youth Championships in Philadelphia. Akeem hopes reunite with his mother that’s been living in Philly illegally for 10 years. It is a heartwarming tale about dreams versus expectations and reality. Have you always been interested in acting but never gotten the chance? Whether you want to pursue acting for a living or as a pastime interest, here’s a wonderful opportunity! Auditions have been opened for an upcoming show “Billy’s Holiday”, which is going to air in December. The actors and actresses should be passionate, motivated and highly skilled and perform their best. The show is going to run from 12th till 18th December. If you are a model or actor living in Dallas, Texas, then this might just be your chance to grab a lead role in a TV series, titled Ebola! 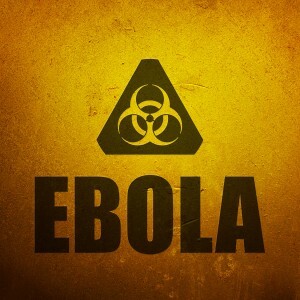 Written and to be directed by Zach Rutland, the movie revolves around CDC’s latest discovery about the Ebola virus that is deemed as the one of the leading causes of a Zombie Apocalypse. The location of the auditions is decided to be at Dallas/Fort Worth. The director of the movie is looking for at least 5 new fresh faces that can work on a serious project. The project is based upon the recent Ebola virus breakout.